Attends church each week, sitting towards the back, and leaving quietly. 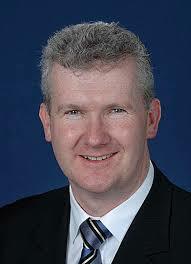 Tony Burke is a Catholic. For him, that means going to church each week, sitting towards the back, and leaving quietly. The Labor frontbencher says his faith is a personal thing. And he’s frustrated with how politicians can be pigeonholed based on their beliefs. He says that happened when he previously stood opposed to SSM.